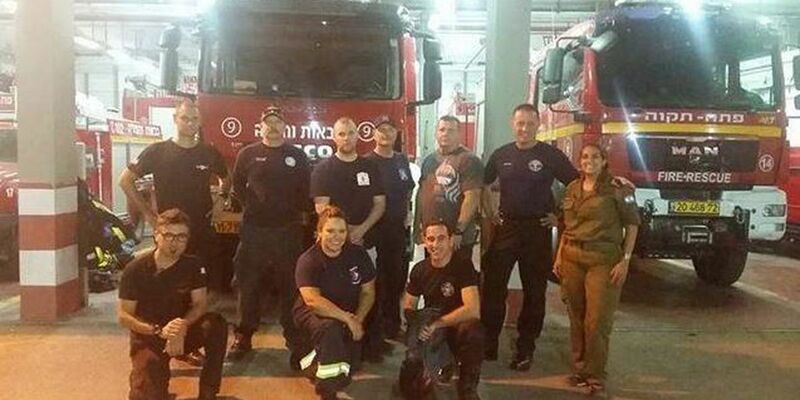 TUCSON, AZ (Tucson News Now) - Five southern Arizona firefighters are now back home after spending nine days of hands-on bomb and terrorist training in Israel. They're the first Arizona group to be part of this specific Emergency Volunteer Project. Marcela Hammond is the first American female firefighter to participate. She works for the Nogales Fire Department. "We were received with open arms," she said. "My team and I are assigned to the busiest station in the country which is in Jerusalem." Day one included four hours of basic training to get familiar with the Israeli fire trucks and equipment. But it didn't take long to hit the ground running. "We're about to unload our equipment and they get a call. A call for an eight-story building. People trapped. Building on fire," said Hammond. Hammond said one of the biggest differences between fighting a building fire in Israel and in the U.S. is the materials used. Buildings there are made out of concrete to withstand bombings she explained. When something catches fire, the building is ok, but the items inside burn. Hammond said fire investigators were looking at it as possible arson. Nobody was hurt. She also felt she had to be extra alert since attacks on first responders happen often. If firefighters are not wearing their helmets, they're wearing reinforced ball caps. "It's hardened so it has protection in case of rocks thrown or anything," she explained. Rio Rico Fire, Mt. Lemmon Fire, and Tucson Fire Department were also represented on this trip. Maria Hechanova will have more on the firefighters training and what it means to southern Arizona residents on KOLD News 13 at 10 p.m.